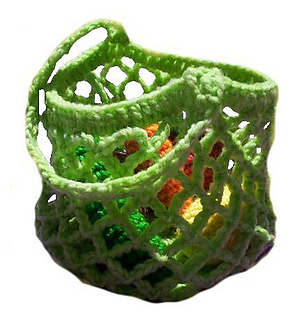 This pattern is for a crocheted child-size market bag. 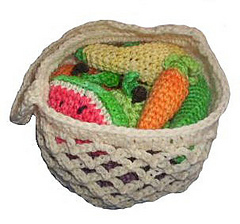 It is a great companion pattern for the veggies and fruit sets or would make a great tote for your child’s favorite things. It is also a quick project. Make it more fun by using Kool-Aid to dye the wool!